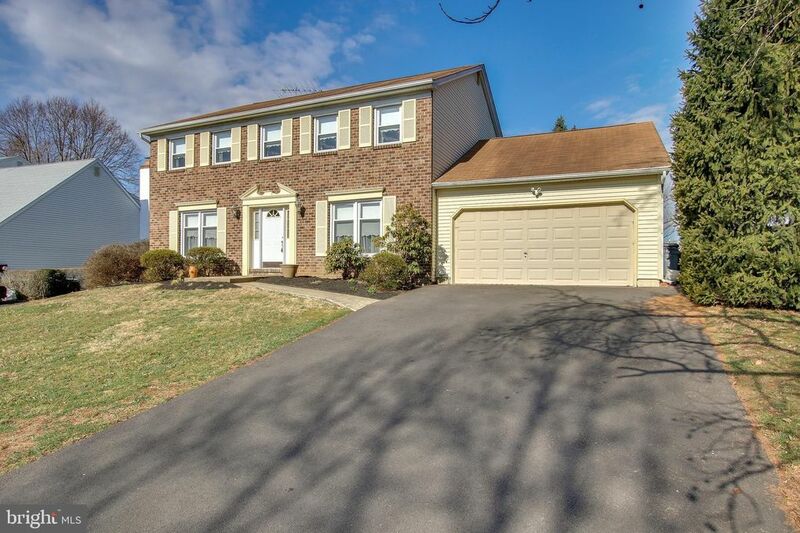 Beautiful Full Brick front Center Hall Colonial just listed in Pine Run . Impressive 20 x 10 Center hall foyer with ceramic tile flooring, picture molding and 2 story Turned staircase. Formal Living room off foyer with case entry offers a cherry built-in entertainment center, crown molding and wall to wall carpeting. Formal Dining room with crown molding, chair rail and wall to wall carpeting. Updated Center Island Eat in kitchen with breakfast room. Beautiful Solid Cherry Cabinetry, Granite countertops stainless steel appliances, recessed lighting and hardwood flooring. Family room opens to kitchen with wainscoting, oversized slider, brick fireplace, surrounded by built-ins. Convenient 4th bedroom on first floor with separate entrance and full bath with jetted tub and shower combination, Mudroom laundry room also on first floor. Open 2 story foyer which leads to open landing, Double door entrance to large Master bedroom off Second floor landing>Master bedroom features separate sitting room and vanity area, ceiling fan and large walk-in closet and Full Master bath with separate double-door shower. Two additional roomy bedrooms, both with wall to wall carpeting and ceiling fans. Large hall bath. Partially finished basement with workshop area. Deck off back of home to an open, level back yard with a view that goes on forever!